Children’s | Tired Tapir Inc.
Ildreth just wanted to play with her friends without her four-year-old brother tagging along. But her mom insisted, and now the barn’s on fire, he’s taking jewelry to hoard in a cave, and he’s off to fight bandits on the road to town. What is she going to do? In these ten stories, prolific short story writer Marissa Lingen will introduce you to a shop that sells memories, a girl who’s harder to see than the devil, a monkey inventor, a disappearing grandma, a girl who learns to spin straw into goats, a cursed frog prince, an imaginary friend who is more than he seems, three grannies on a quest to rescue a princess, and a witch in training at her first boy-girl party. And, of course, a girl who just happens to have a dragon for a little brother. 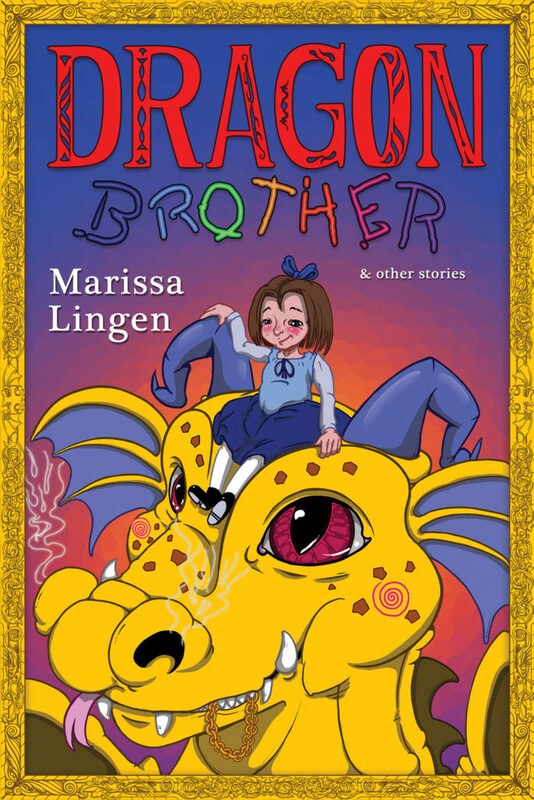 Dragon Brother and Other Stories is available in paperback and Kindle editions on Amazon.com.